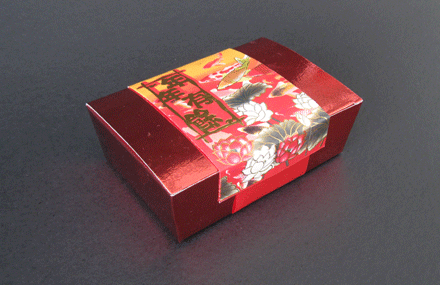 China-red 6pc truffle box with decorated with wide red satin ribbon and hong bao envelope. *We have suggested our best-selling combination for each size of box. Should you have other preferences, do not hesitate to contact us. **Hong bao envelope design may differ from the picture.